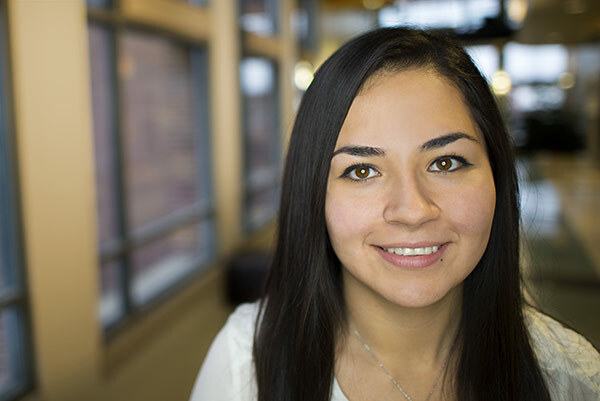 Gonzalez participated in the national McNair Achievement Program, which rigorously prepares underrepresented students to succeed in graduate school and encourages research experiences. Through the McNair program, Gonzalez landed a summer research internship at Virginia Tech, which resulted in her award-winning research. Her McNair connections also led to a spot working in the WSU lab of Anthony Nicola, a professor in veterinary microbiology and pathology. There she explored the cell biology of herpes virus entry into host cells. A better understanding of how the virus interacts with the cell will identify novel targets for intervention. Gonzalez’s project is examining the effect of low-pH treatment on attachment of HSV-1 to cells. Her research acumen stood out among young scholars nationwide. In the spring of 2015, Gonzalez was selected for a 10-week summer research program offered by the Howard Hughes Medical Institute. She traveled to Yale University in June to participate in research focused on the interactions between vector-borne pathogens, such as malaria and West Nile virus, and their host. She plans to pursue a career as a research virologist.